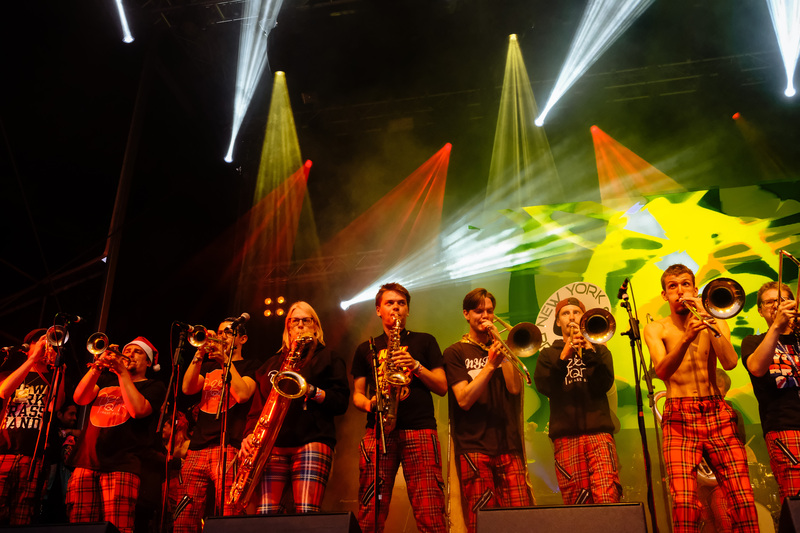 New York Brass Band are North Yorkshire’s only contemporary New Orleans inspired Brass Band. 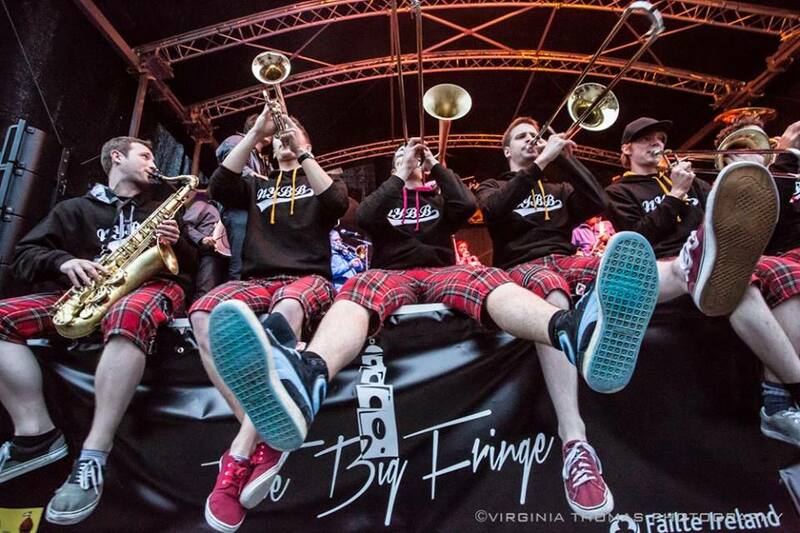 Hailing from the ancient streets of York, the band are part of a funky brass revolution that is sweeping the UK. 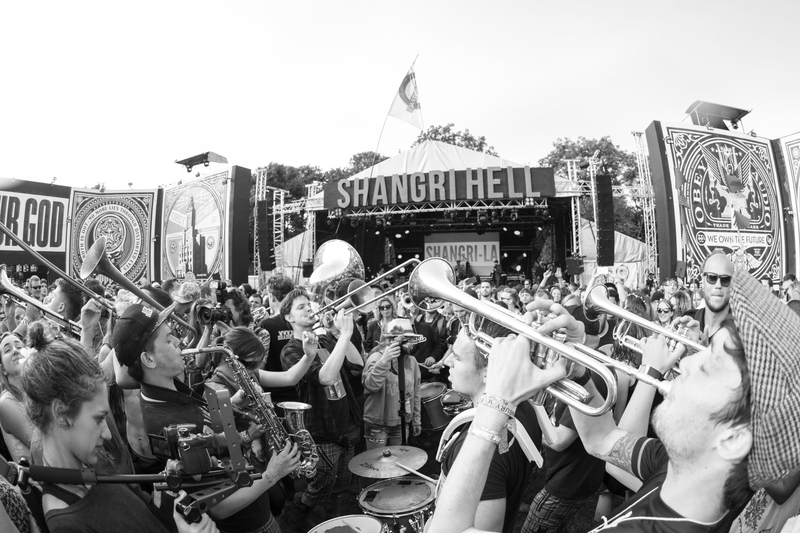 Inspired by Rebirth Brass Band, Soul Rebels, Hot 8, Youngblood and Brassroots, NYBB pack a powerful punch of relentless drums, rumbling tuba and wailing horns… nothing kicks a party into gear like the sound of a smokin’ New Orleans Mardi Gras Jazz Band. Performances include Glastonbury Festival 2014/15/16/17, Bestival on the Isle of Wight, Durham Brass Festival, Cork Jazz Festival, Le Tour de France, Monaco Grand Prix all 7 summer cricket test matches and celebrity parties and weddings for Danny Jones McBusted, comedian Alex Brooker, Liam Gallagher, Joe Jordan, Gordon McQueen and Jamie Oliver. In July 2016 the band was featured in the ITV show Surprise Weddings Caught On Camera.